A freshly mowed lawn goes a long way when comes to making your yard or business lawn looking beautiful. KDI Landscaping can not only create beautiful landscapes and lawns, but also maintain them. Our lawn mowing services can be schedule weekly, bi weekly or on an “on call” basis. Pre mowing prep by walking the yard before we mow & remove any lawn furniture, toys, hoses, etc; anything that would create a safety hazard or negatively effect the quality of the mowing. If there is something you do not want removed while we mow (like a kiddie pool that took all day to fill) please notify one of our mowing technicians when we arrive or call Isaac ( 603 899 6510 ) to let him know ahead of time. Edging and weed wacking all mulch beds and other edges. Our mowing crew will give our clients the option to have all the clippings collected and removed from the site or dumped in an out of the way spot on the property. We will trim lawn edges, walls, fences, trees, foundations, walkways and any other objects within or immediately adjacent to lawn area. If there is a section of property that needs to be weed wacked separate or on a less frequent schedule, we can accommodate your needs. When our team is done mowing, we make sure there are no clippings in the mulch beds, on the walk ways, patio areas, or driveways. Our crew & machines can cut your lawn in straight or diagonal stripes, alternating direction every cut to give it the diamond appearance. This technique of mowing is also healthier for your lawn. KDI Landscaping invests in the best equipment possible & therefore we maintain our lawn equipment meticulously. This means a proper cutting job from well sharpened blades & a quick job done from efficiently tuned machines. All safety devices are utilized to ensure top-notch safety to both our crew & any little ones who may be in the yard while we work. Lawn fertilization & aeration services are also available. Our mowers are professional and trustworthy. We can usually accommodate tight time schedules. Just let us know what is important to you when we first visit you. We had a playhouse with an attached swing set built for our oldest daughter when she was 2. 6 years later we adopted a 2 year old but by then the play set was starting to show wear and tear. During our usual spring clean up with KDI (of which we always get compliments on), Isaac personally went through the playset and repaired and replaced every part...as he put it, "as if it were his own kids that were going to play on it." This is the way KDI works...always going the extra mile. I can wholly and without any reservation recommend KDI Landscaping for any property maintenance project. Got a Testimonial you would like to share? Click Here. Snowplowing services in NH, Landscapers in New England, SPRING Clean up. Property maintenance, lawn mowing, spring clean up services. Serving the Monadnock region of NH and north central Massachusetts. 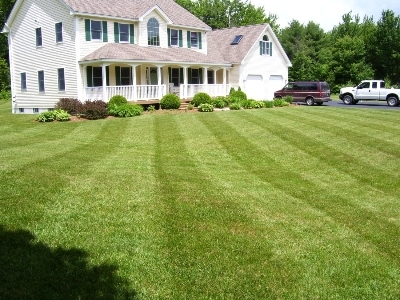 Jaffrey, Keene, Fitchburg, Amherst, Peterborough landscaping services. Powered by Sub 5 Website & WordPress.